A friend and I recently did an open ended class project for our college-level fluid dynamics class, and we chose to analyze circle planes (annular winged aircraft). Here are some interesting things we learned that we wanted to share with all those interested. Also, at the end of the post we have posted a video of our own circle plane flight test video with a plane similar to that done by Peter. So if you want to see what we're talking about in action, look no further. To perform our analysis, we decided to use a powerful tool known as CFD (Computational Fluid Dynamics). In our case we used a CFD program called STAR CCM+. For those unfamiliar with CFD, CFD creates a virtual wind tunnel composed of thousands of tiny cells that model the interaction of fluid flow on a body of interest (in this case: wings). If we carefully choose the right parameters and settings for the CFD program, we can obtain an accurate representation of what the fluid is actually doing, and thus be able to determine useful things such as lift and drag. 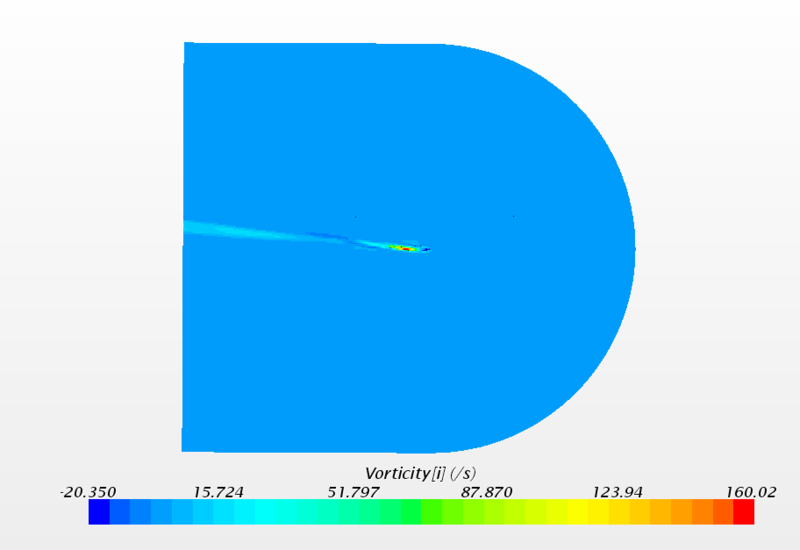 For our CFD simulation, we used local atmospheric conditions to analyze both wings when flying at 12 m/s. We hoped to find that the annular wing would have smaller wingtip vortices than the conventional wing. Smaller wingtip vortices would lessen the drag force. Note that in the two pictures above, the scale of the vorticity of the annular wing is much less than that of the conventional wing. These first pictures provide some useful information, but they're not very exciting. 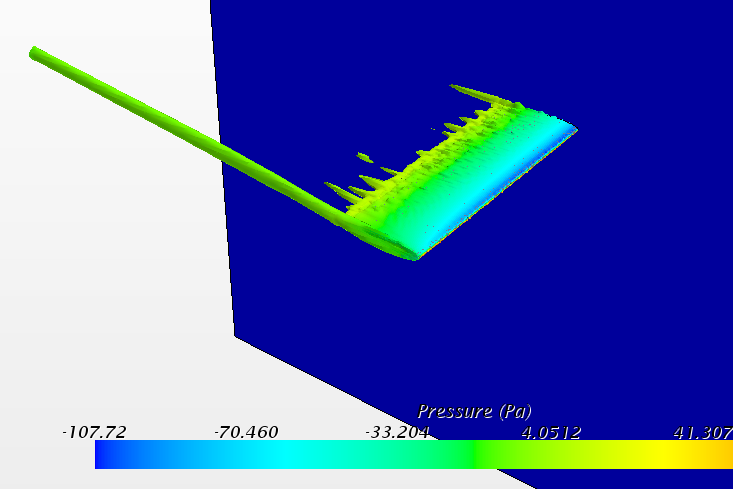 To visualize more of what's going on, we created a 3D representation of the the vorticity over the entire wing surface. 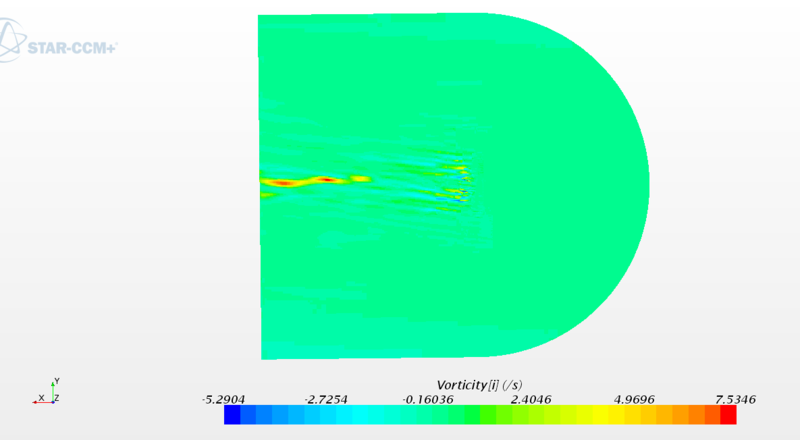 In the pictures below, what you're seeing are the parts of the wing's wake where there is high vorticity. From looking at the two pictures above, we can see that with the annular wing there are small sections of vorticity distributed pretty evenly around the trailing edge of the wing. On the conventional wing, we see that most of the vorticity is right at the wing tip as expected. 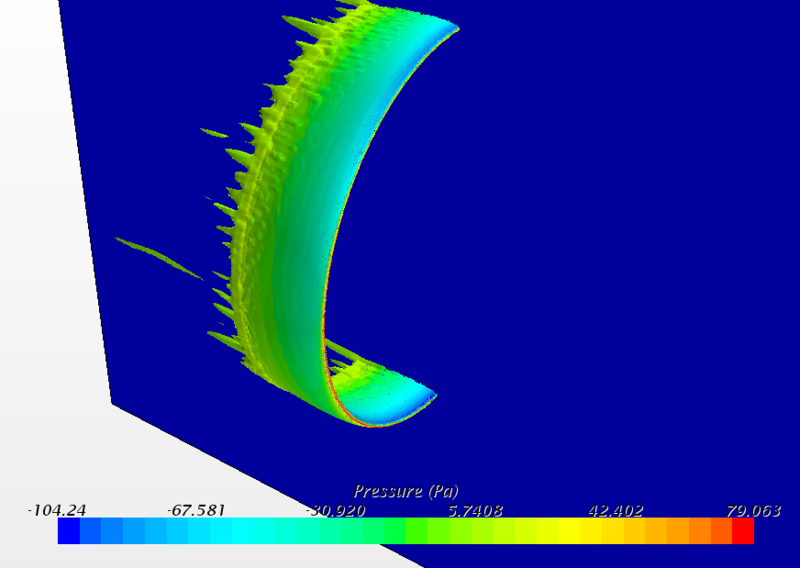 So from these results, it looks like the annular wing is effective at reducing the wingtip vortices. Cool! So what happened? Why was the Lift-to-Drag ratio of the conventional wing better? Well as it turns out, there are a few factors that affect lift and drag. 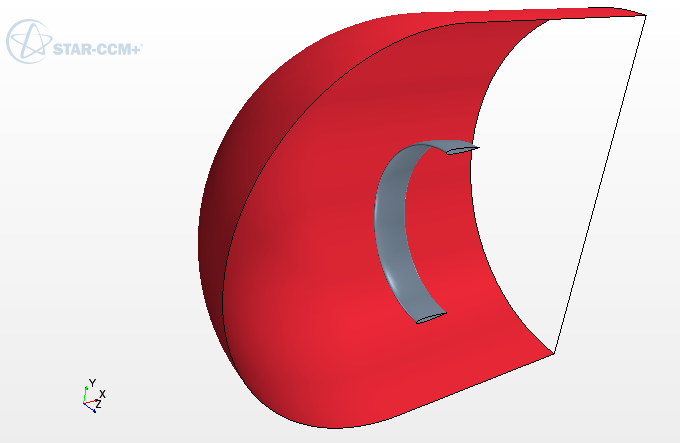 For lift, you can probably understand how the vertical side sections of the annular wing don't produce much lift. For the conventional wing, the whole wing is able to contribute lift. Then there's drag. Drag comes in two main forms namely pressure drag, and friction drag. Because the circular wing reduced the wingtip vortices, this lead to a reduction in pressure drag. The problem though, is the friction drag. Since friction drag is related to the surface area of the wing, the annular wing had much more friction drag than the conventional wing because it had about 3 times as much surface area. This resulted in the total drag of the annular wing being more than that of the conventional wing. The conventional wing also generated slightly more lift. It was this combination that resulted in a lower lift-to-drag ratio for the annular wing. In the end, our project and analysis showed that annular wings are more of a novelty in aviation than they are practical. We did have lots of fun learning about and analyzing them though! Perhaps the biggest advantage of annular wings is that, as we all know, you can fly through them! For this reason we think that airplanes with annular wings will continue to have an endearing presence in the R/C world for a long time to come. Here's a video of the circle plane that we built and flew based on Peter's circle plane. If you've never built or flown a circle plane, we highly recommend it! Taking a peek at these files may be helpful for anyone who wants to perform a similar simulation. Enjoy! I would think by creating a biplane like design, but connecting the wingtips of upper and lower wings with an arced section you could reduce wingtip vortices while still retaining much of the lifting ability of a standard wing. @Tench745, I think you're probably right. Maybe something proportioned more like this? Fascinating article! It would be interesting to see the same calculations using a conventional wing fitted with winglets of various shapes. 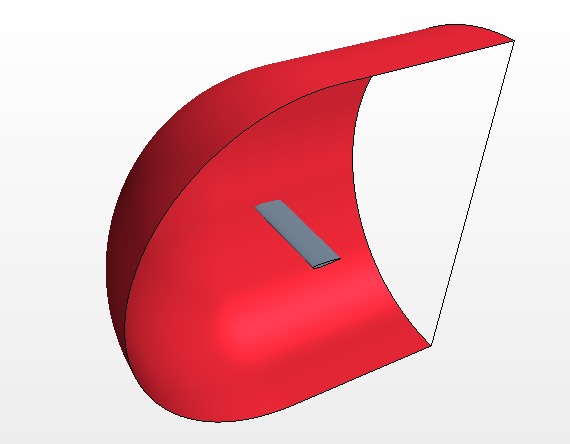 A parabolic wing shape might be ideal. You get rid of the wake vortecies and you get less ineffective lift surface on the side of the wing. Great job on this project! Thanks for posting. IF you still wanted to fly things through it like the FT circle plane you could increase the offset between the upper and lower wings. Of course, if you're flying through it, you probably don't care about wingtip vortices. Likewise, if you care about reducing drag and wingtip vortices you probably wouldn't want to be zipping quads through it.